I went for a full body luxury spa treatment at a local hotel here in Sharm El Sheik a few months ago. One of the treatments involved massage with a mix of cocoa, coffee, sugar, and coconut. It smelled beautiful, and when I later rinsed it off me in the shower, my skin felt incredibly soft and alive. Expectantly I returned to the marble bed in the treatment room for the next thing on the spa menu. This time, however, the beauty therapist covered AND massaged me with an endless amount of detergent like soap!? She kept pouring and fanning soap bubbles over my body for around 20 minutes, which left me with cold and dry skin – and all the lovely nutrients and oils washed away. 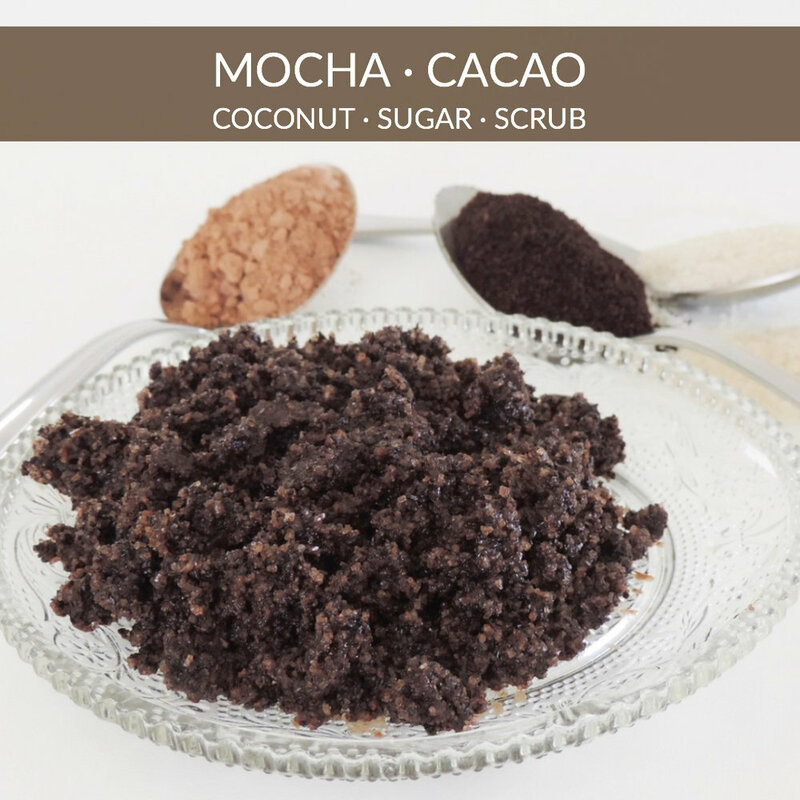 However, I’ve reconstructed the cocoa mocha scrub, and it still works its magic. Massaging with this scrub exfoliates, stimulates blood/lymph flow and has a tightening and anti-ageing effect. Coffee: The caffeine has a tightening, stimulating, and anti-ageing effect. Cocoa: The flavonoids in it nourish the skin, boost its elasticity and help reduce blemishes. The caffeine and theobromine found in cocoa powder make skin firm, taut and toned. A cocoa face mask can treat sagging skin, puffy skin and even under eye bags easily.